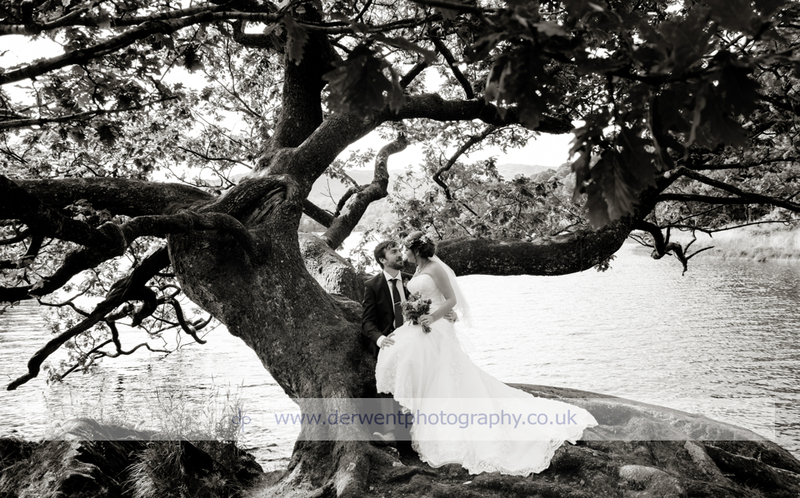 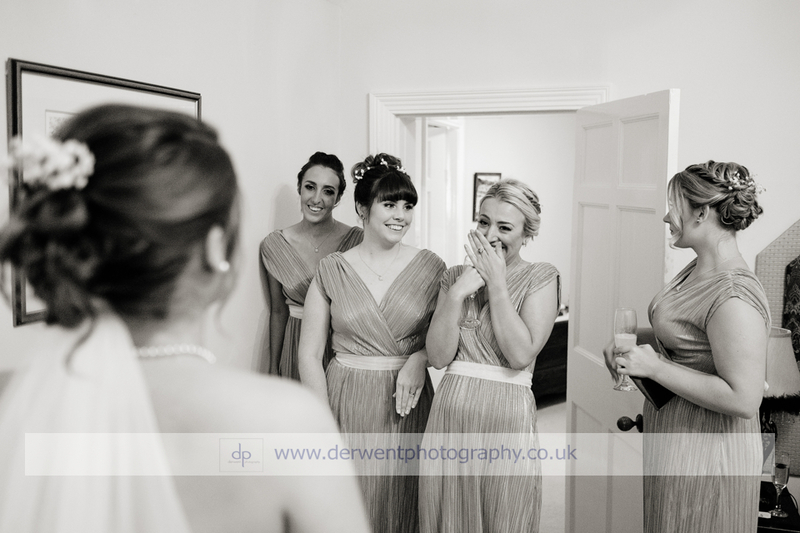 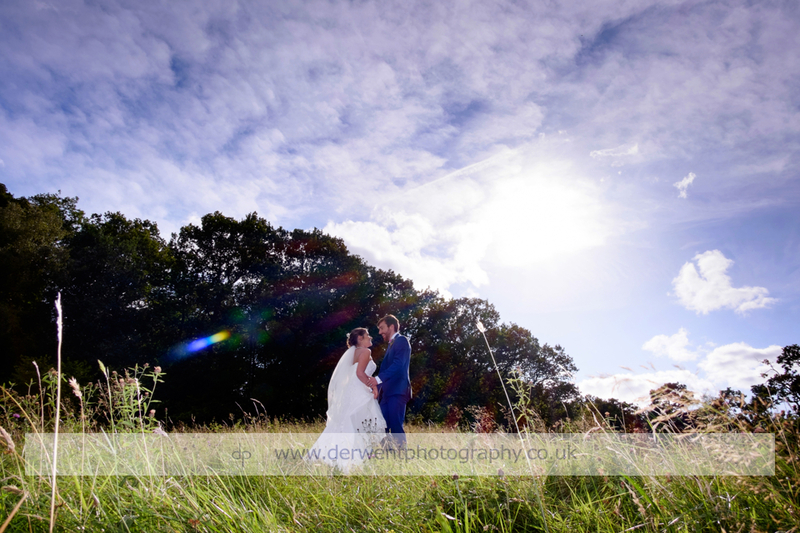 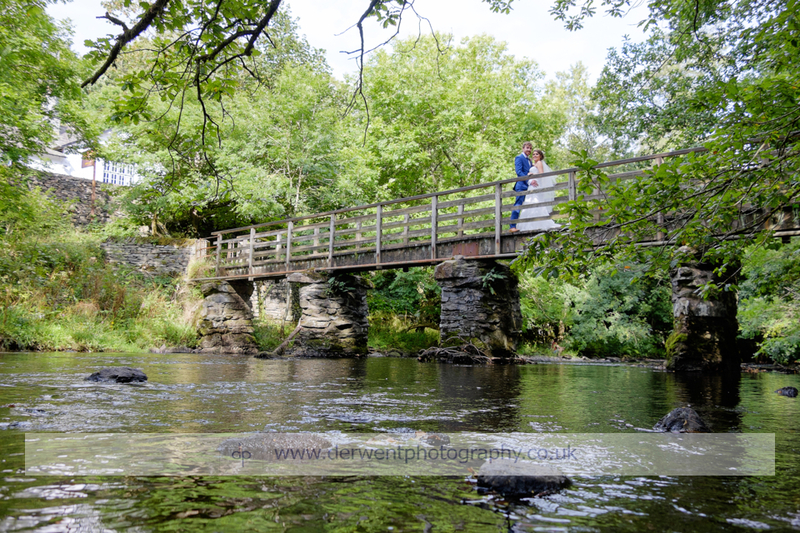 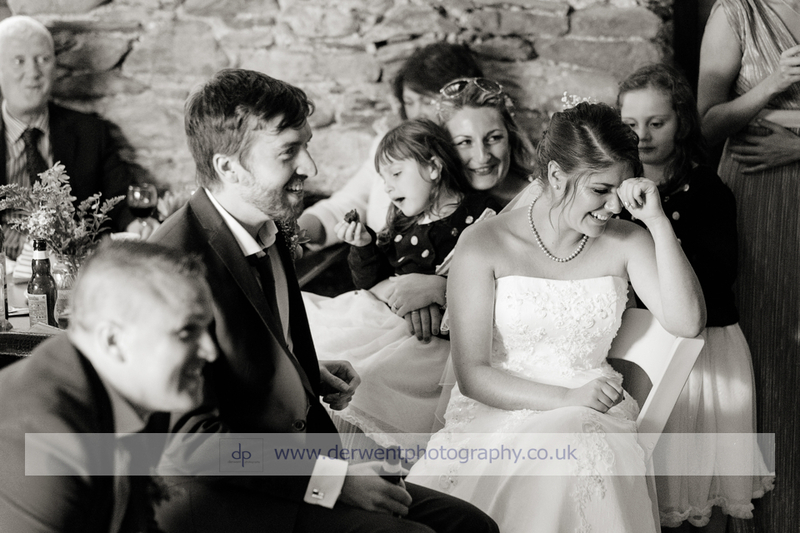 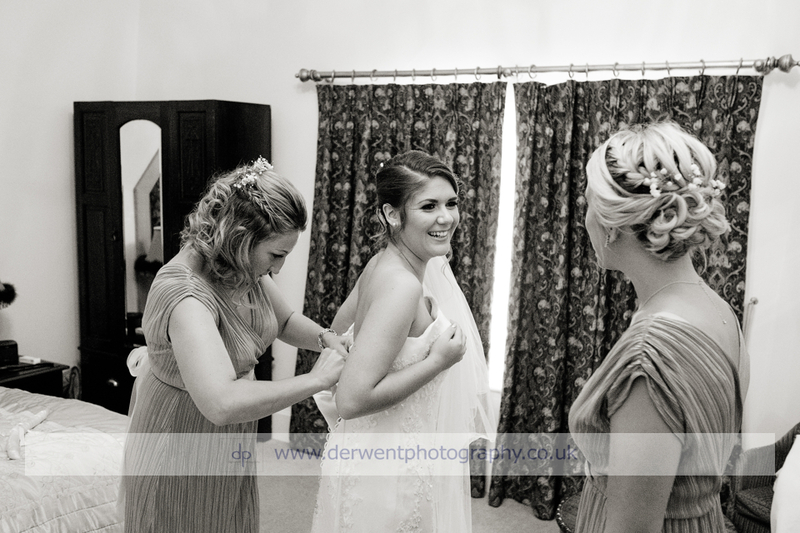 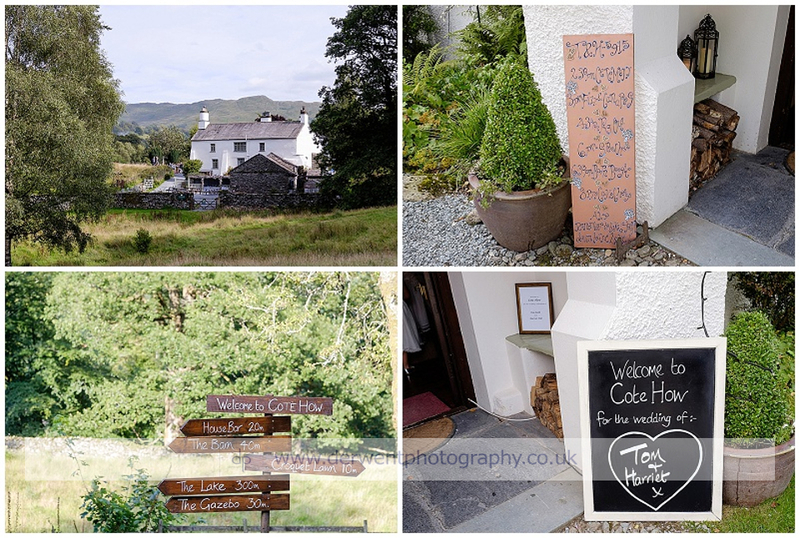 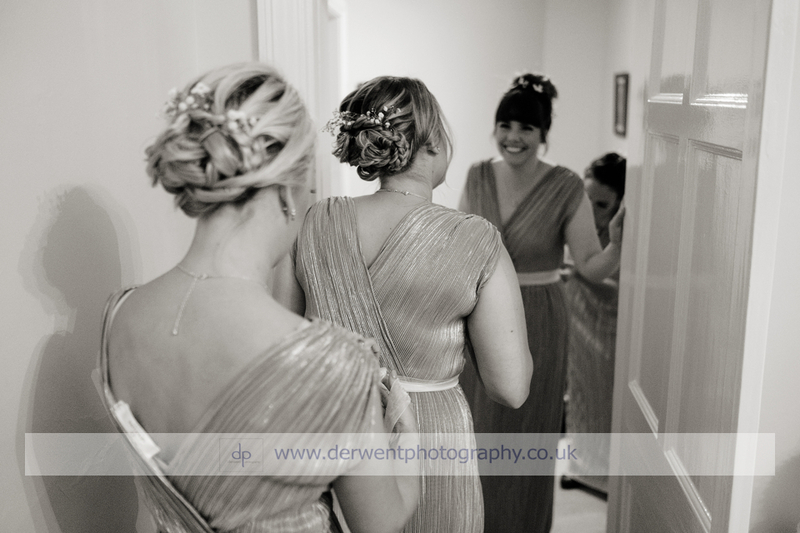 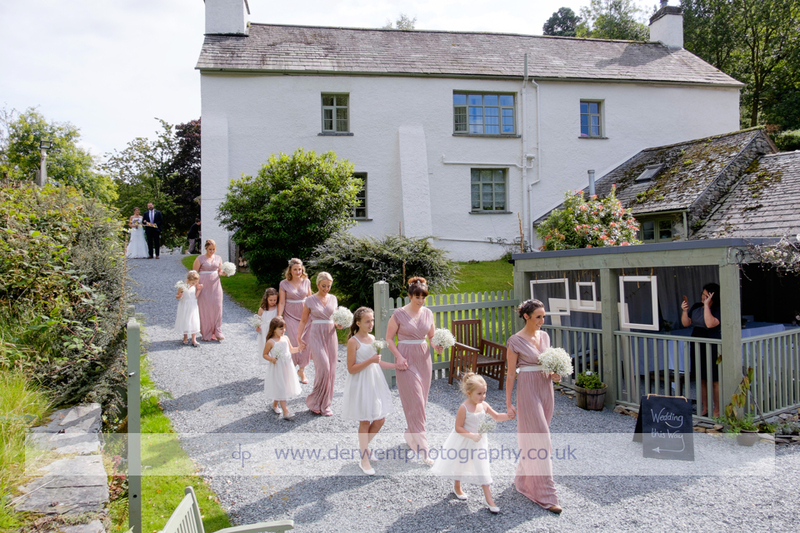 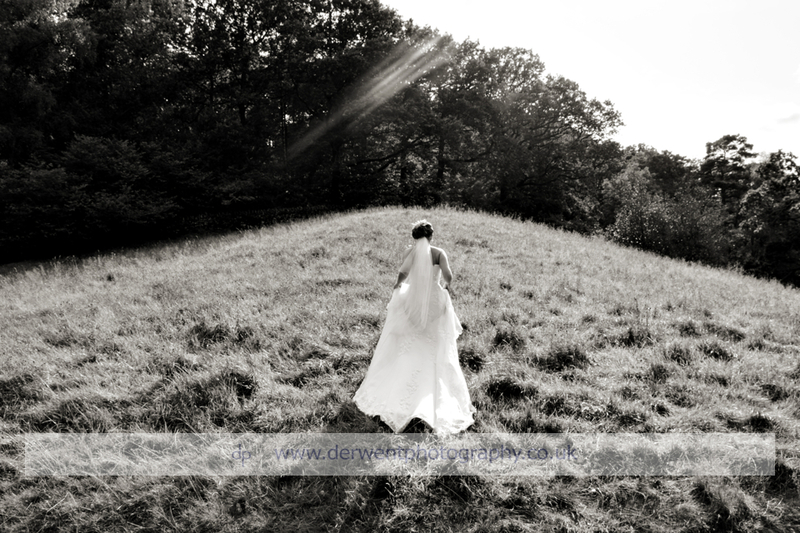 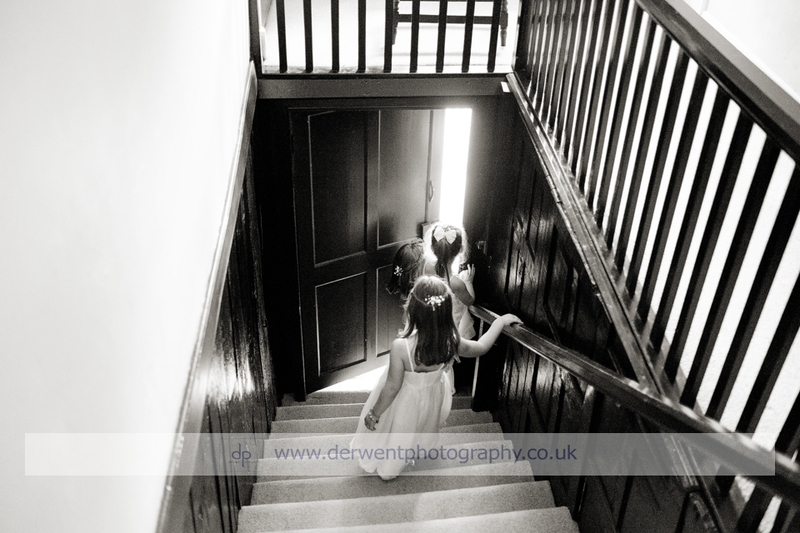 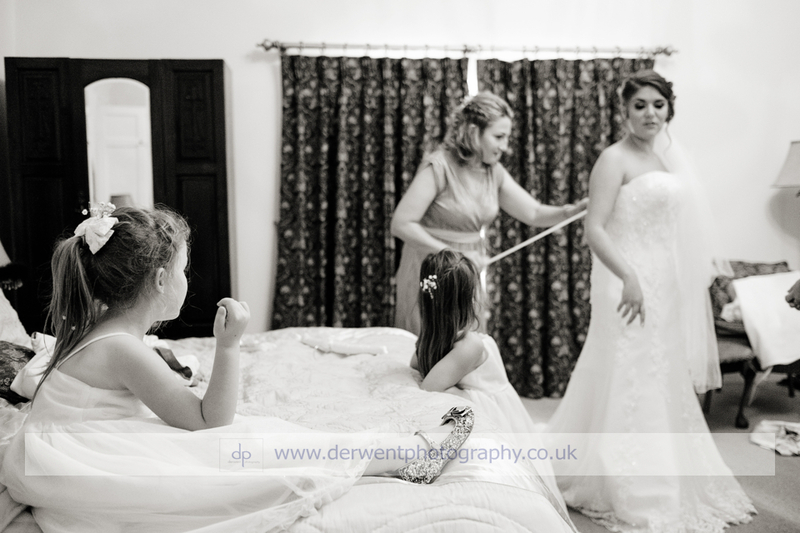 Harriet and Tom were married on a beautiful day in early September at Cote How, Rydal. 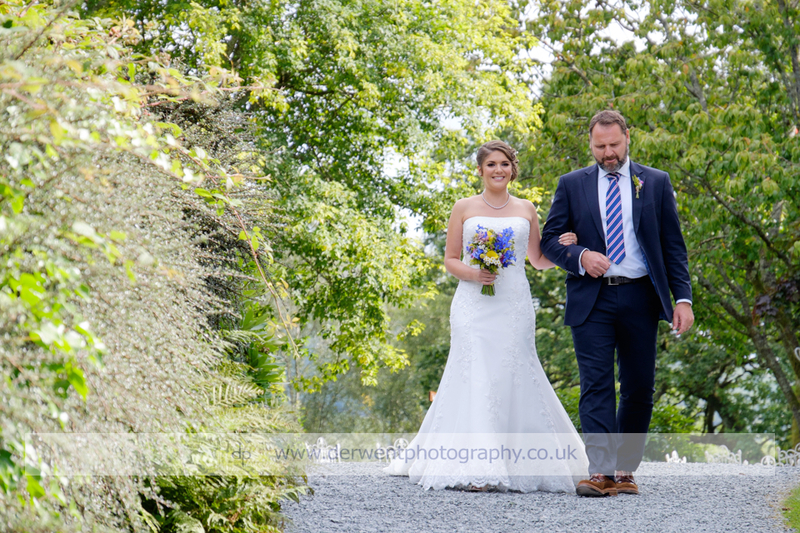 They decided to have an outdoor ceremony and the bride looked fantastic, with her make up from MAC, her hair by Katie Swainson and her dress from Chilham Bridal Boutique. 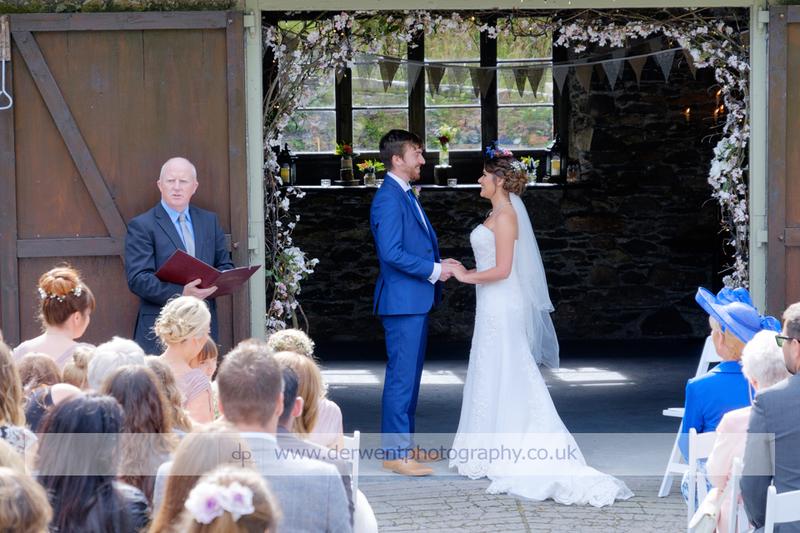 Flowers by Brackens of Bowness really added to the rustic, vintage feel to the day. 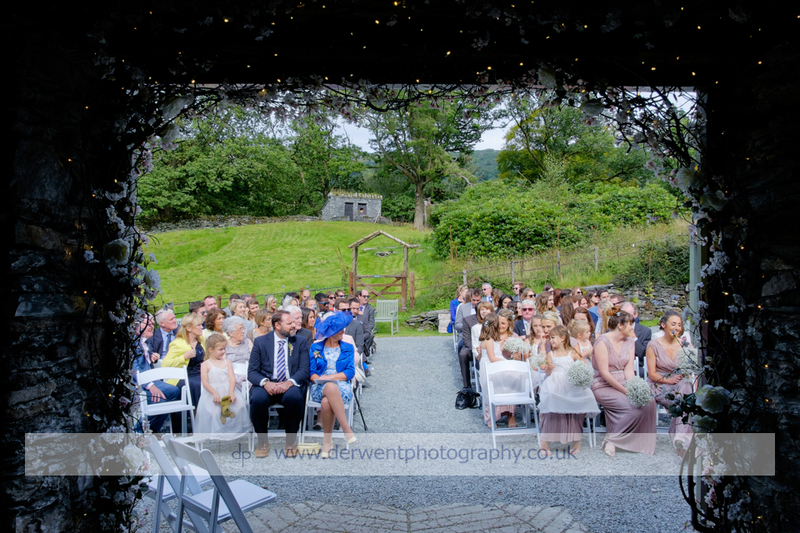 Following the ceremony the newlyweds and their guests enjoyed drinks and amazing nibbles catered for by Greens Grasmere whilst everyone gave their congratulations. 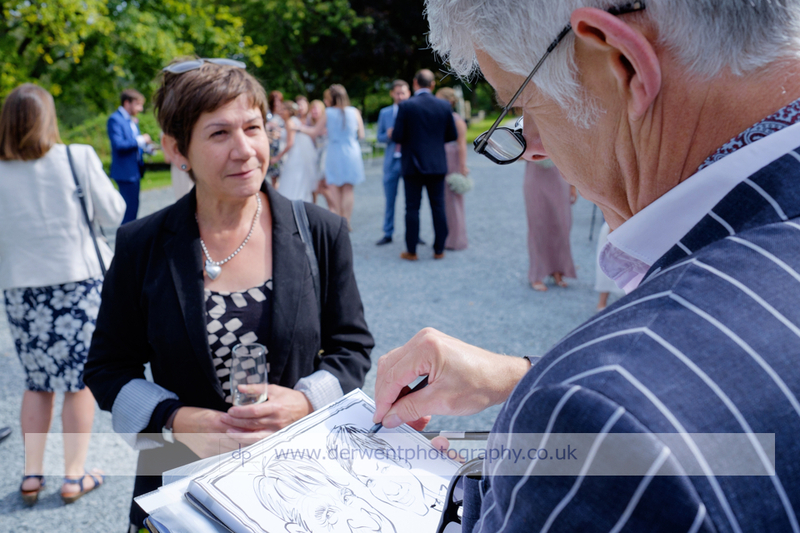 They even had Christopher a caricaturist doing pictures! 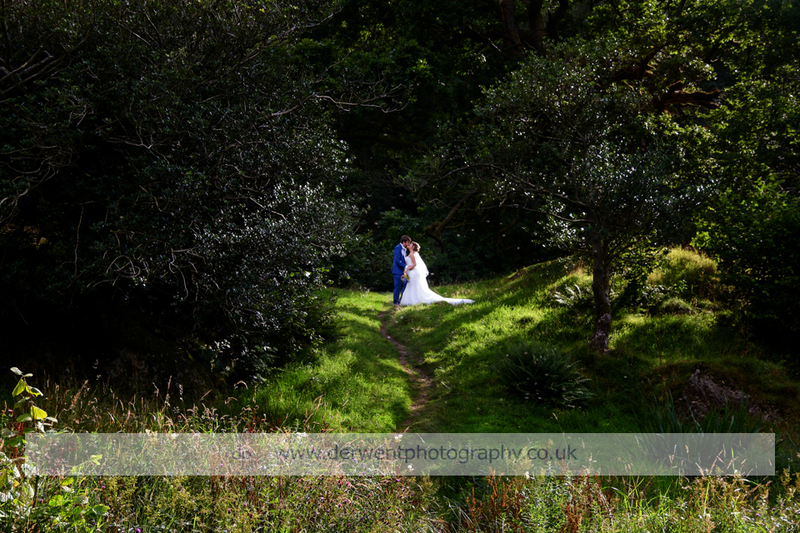 I then took Harriet and Tom away for their private photo shoot against the stunning scenery surrounding Cote How. 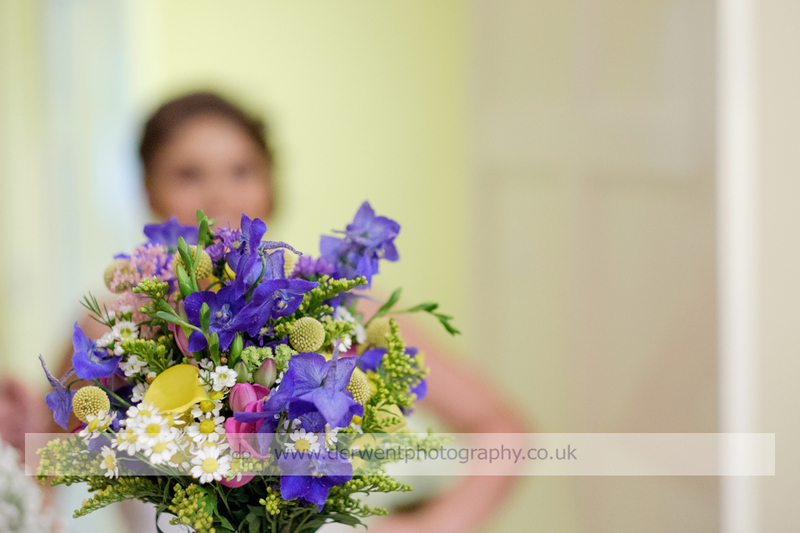 They were a great couple to work with! 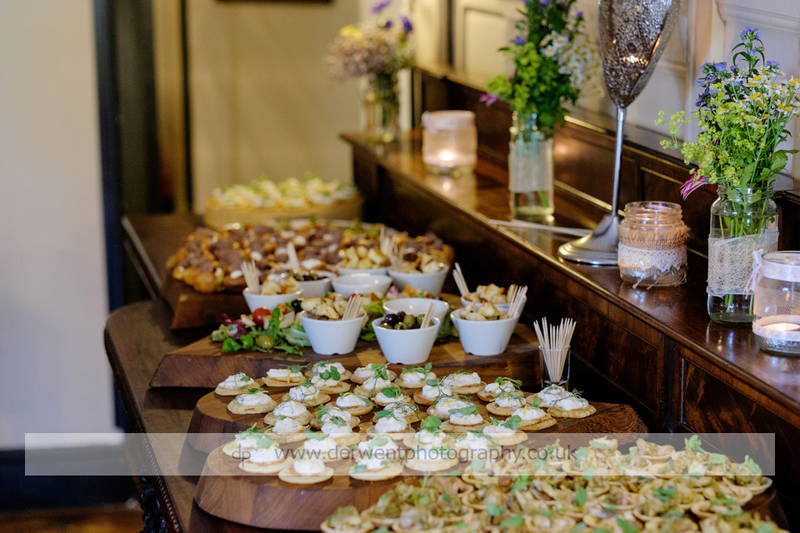 Upon their return, everyone headed to the beautifully decked out barn for the speeches and a meal, again catered for by Greens they did an awesome job, the food was delicious! 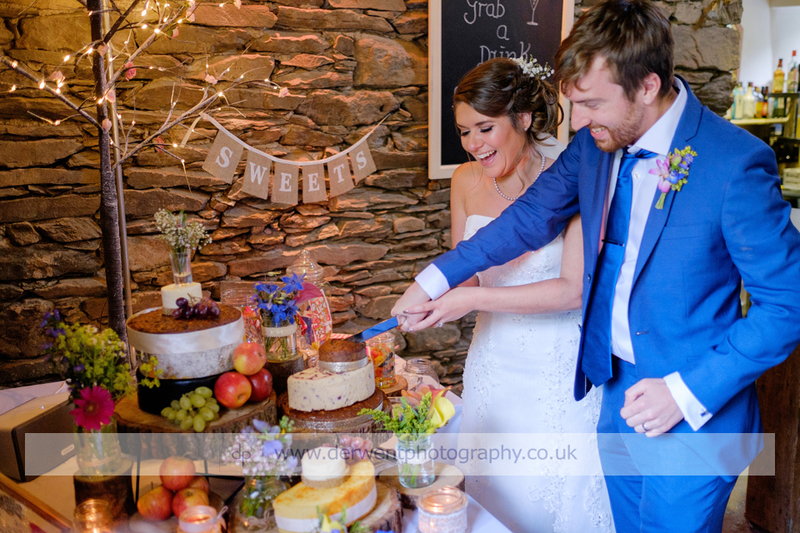 The couple then cut their cake and made their way to the dance floor for their first dance, which was to ‘Dancing in the Dark’ by Bruce Springsteen. 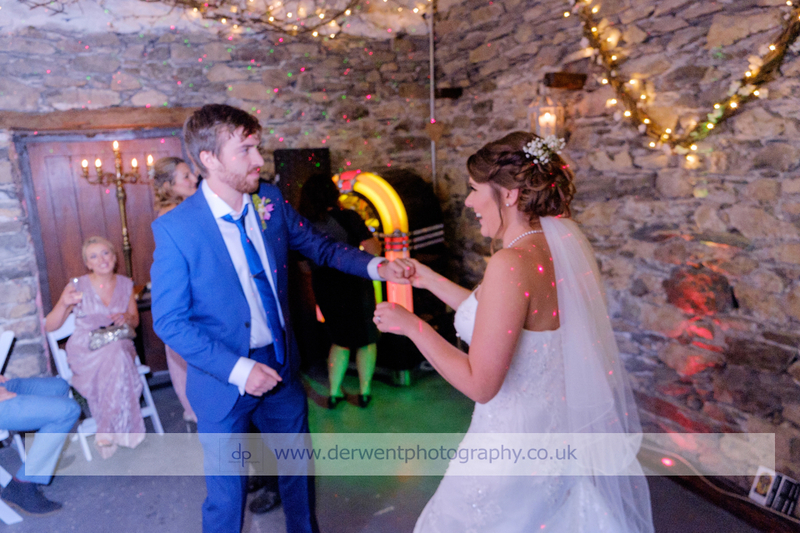 The rest of the night was taken care of by the juke box and everyone danced the night away! 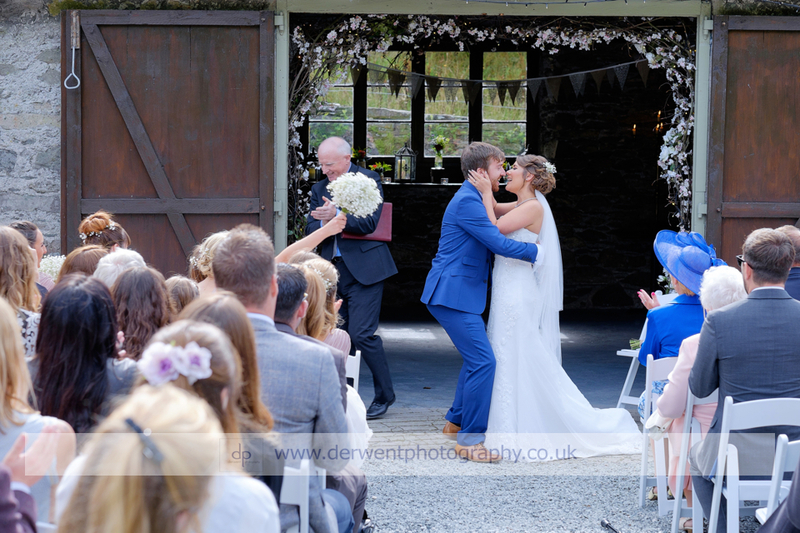 Congratulations to Harriet and Tom for planning such an amazing day for their family and friends!